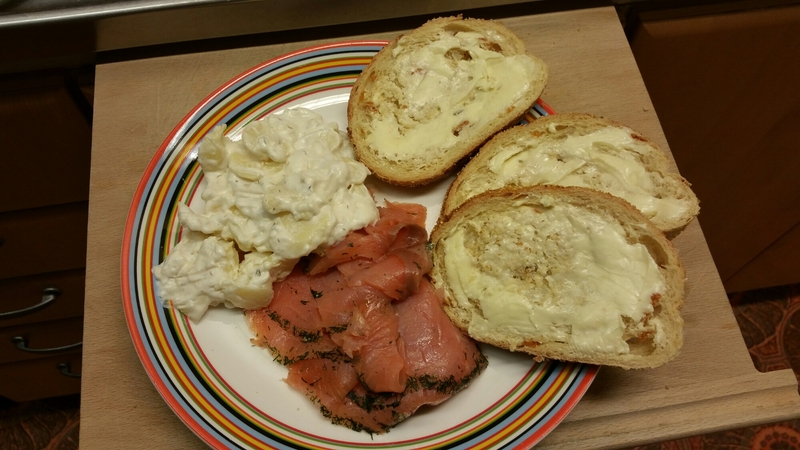 With salmon and garlic bread. 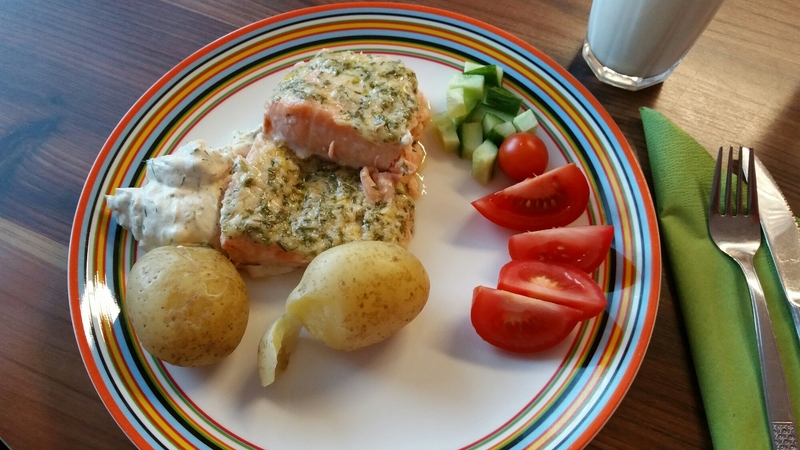 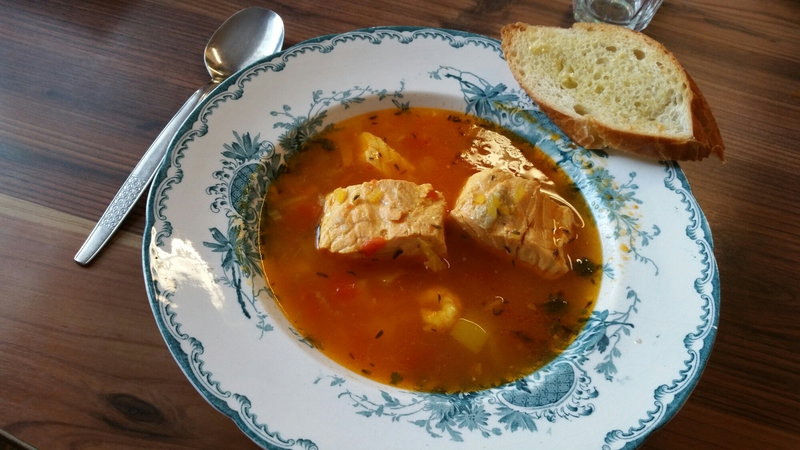 Gravad salmon with potato salad and tomato bread. 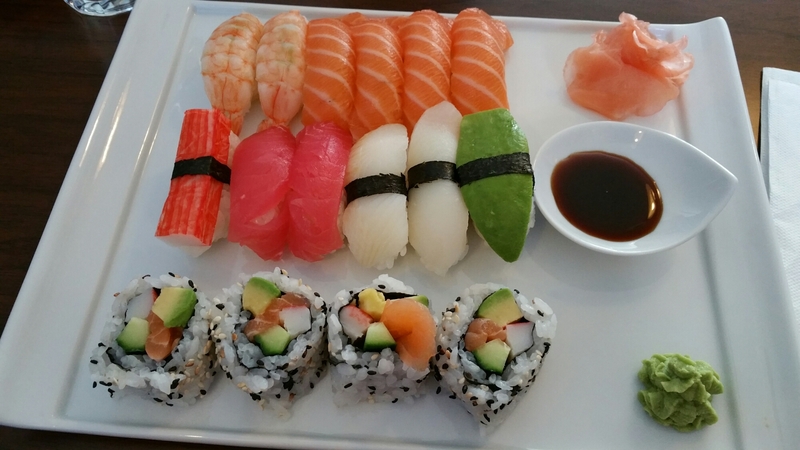 Delicious start of the week. 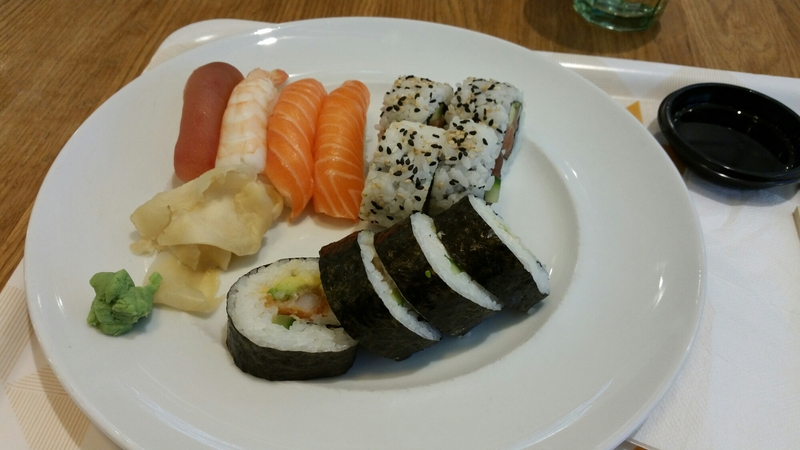 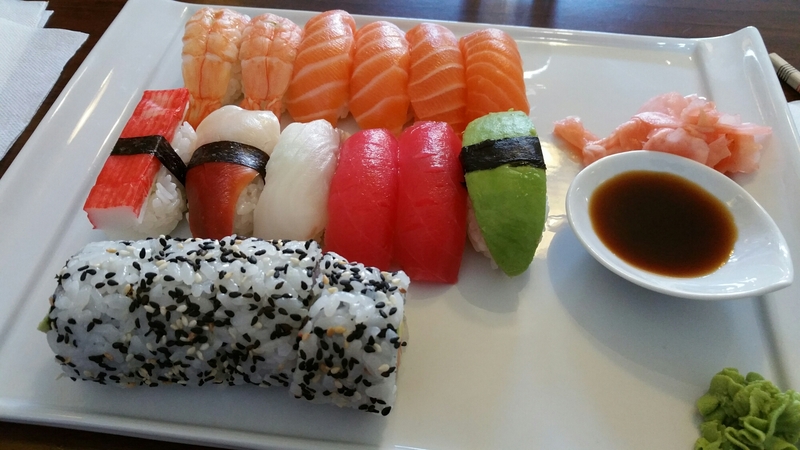 Decent sushi from a new place, but it’s not better than my regular sushi place. 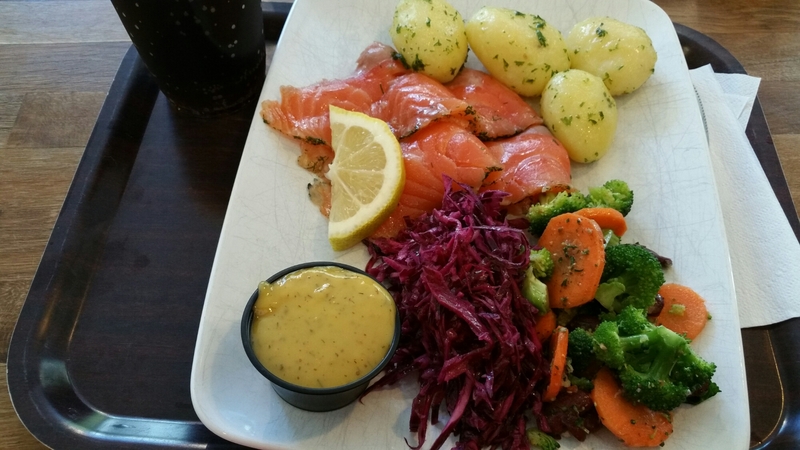 Salmon with potatoes and sauce.